Are you KIDDING ME?! This is absolute insanity! How does this serve JUSTICE?! This TERRORIST should be eating the barest squares allowed. He is living on our dime for the rest of his natural life. This is an outrageous abuse of power on the judges part. Anyone think the judge is a left leaner? But the Qur’an says that “the food of the People of the Book is lawful for you and your food is lawful for them” (5:5), which means that Muslims can eat kosher foods and food prepared by Christians. That makes clear that Ahmad Ajaj’s lawsuit is just another exercise in Islamic supremacism, attempting to gain special privileges and accommodation for Muslims, in accord with their privileged status in Islamic law. Also, imagine if Ahmad Ajaj were a Nazi, and had bombed the World Trade Center as a Nazi mission, and that Nazis had food laws. In that case, would U.S. District Judge R. Brooke Jackson have been so quick to reinforce the ideology that landed Ajaj in prison in the first place? A Muslim man serving a life sentence for the 1993 World Trade Center bombing has been granted access to halal meals after he sued the prison for not accommodating his religious beliefs. US District Judge R Brooke Jackson issued an order Friday requiring prison officials to continue providing Ahmad Ajaj with halal meals. However, the judge denied Ajaj’s request for officials to provide him access to an imam in line with his specific religious beliefs, saying officials should not be expected to put in extra efforts to make that happen. Ajaj started getting halal meals on the eve of his trial last month after he was transferred from a prison in Colorado to Terre Haute, Indiana. He objected to attending classes with the Indiana prison’s imam because he believes the cleric is an adherent of Sufism, Islam’s mystical strain. Jackson said it doesn’t violate Ajaj’s religious rights to meet with someone with different views and that he still could have phone or email contact with another imam. 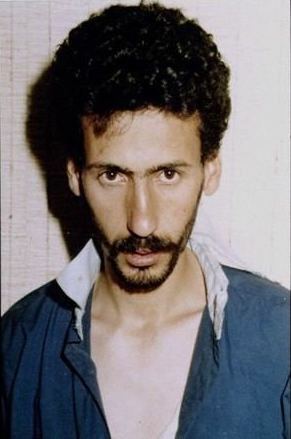 Ajaj was sentenced in 1999 to more than 114 years in prison for his role in the blast in an underground parking garage on February 26, 1993, that killed six people, one of whom was pregnant. It injured more than 1,000 and forced an estimated 50,000 to flee the trade center’s twin towers in a scene of smoke, fear and confusion that would be mirrored and magnified on September 11, 2001. In late August Ajaj filed a lawsuit accusing federal prison officials, particularly staff at the Administrative Maximum, or ADX, facility in Florence, of failing to provide food meeting Ajaj’s belief that all animals used for food must be fed, raised and slaughtered according to Islamic law. The lawsuit said Ajaj considered vegetarian and Kosher meals inadequate….